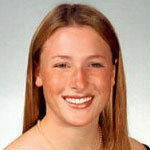 Girls Fight Back was born in direct response to the June 2001 murder of a dynamic, athletic, and loved college student named Shannon McNamara. After Shannon’s death, her friend and sorority sister, Erin Weed, realized the need for practical and empowering options for young women to learn violence prevention and self-defense. Inspired by the way Shannon fought her attacker, Erin immersed herself in training with the best violence prevention experts and self-defense trainers in the world and, from this, developed the GFB seminar. By combining core values, a fun and empowering attitude, and the best safety and self-defense methods available, Girls Fight Back was born. This sisterhood of the traveling bad asses continues to grow and strive to make preventing violence and fighting back an approachable topic for everyone with the addition of two other great programs, Students Fight Back (gender neutral and Title IX compliant) and Fight Back on Spring Break (gender neutral and specialized with Spring Break safety tips).